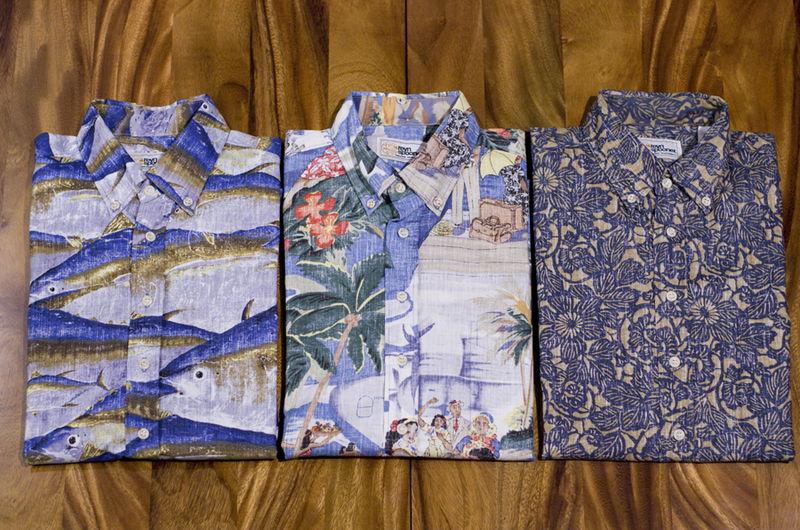 We received a small holiday Reyn Spooner release that includes two new prints, I’a Ku and Year of the Monkey. 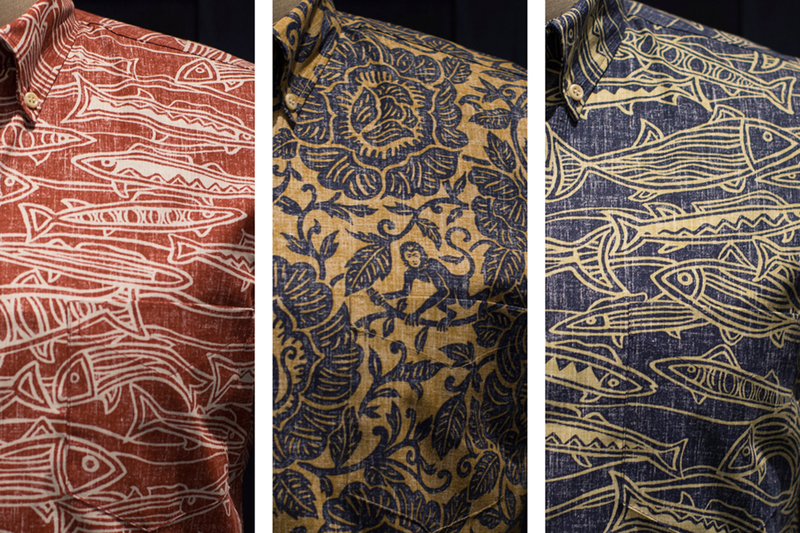 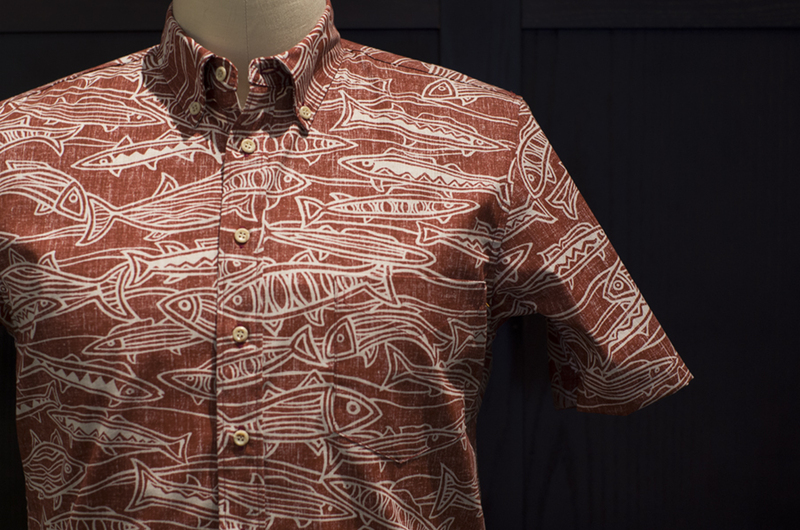 The I’a Ku is a unique and abstract fish pattern that’s available in Crimson and Ink. 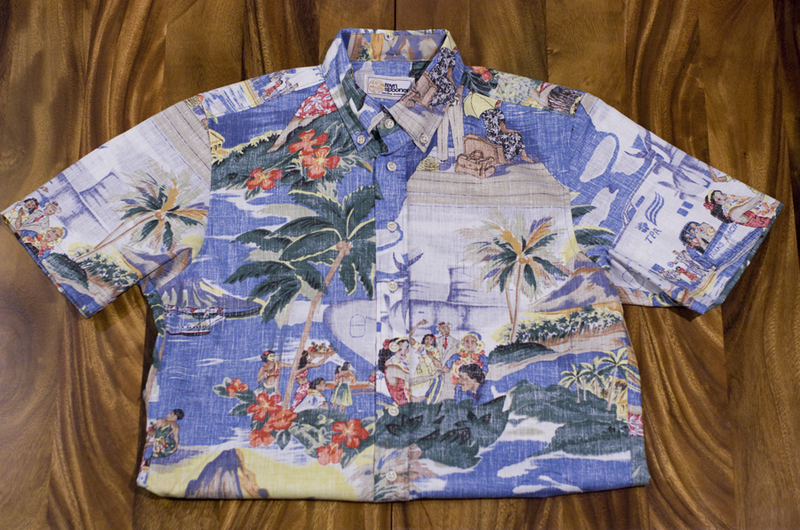 Reyn Spooner also does a yearly Chinese Zodiac shirt, and next year will be the Year of the Monkey. 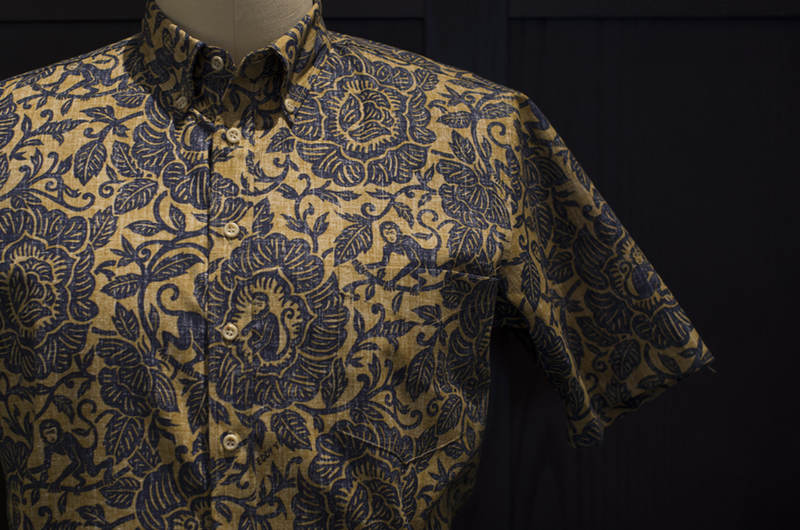 It is a perfect gift for years of the Monkey: 1920, 1932, 1944, 1956, 1968, 1980, 1992, 2004, and 2016. 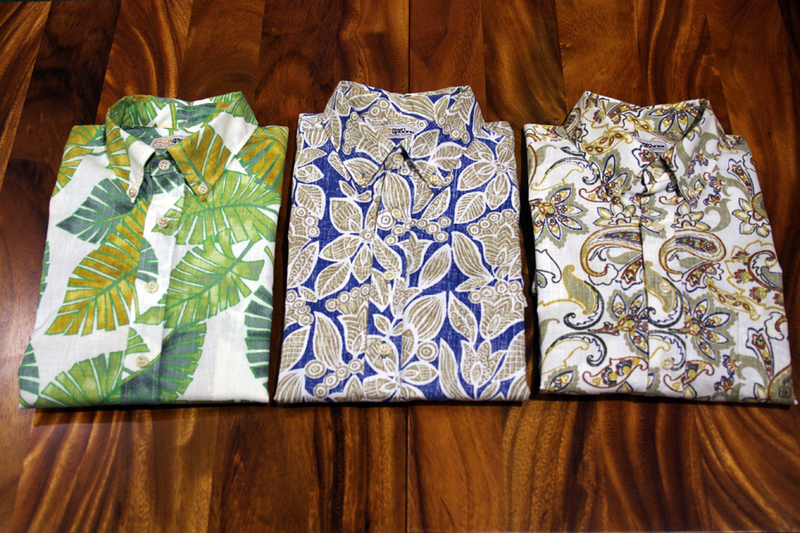 The Reyn Spooner partnership continues with three new Spooner Kloth fabrics: Kamola (green), Kalo (indigo/pink), and Royal Blooms (red). 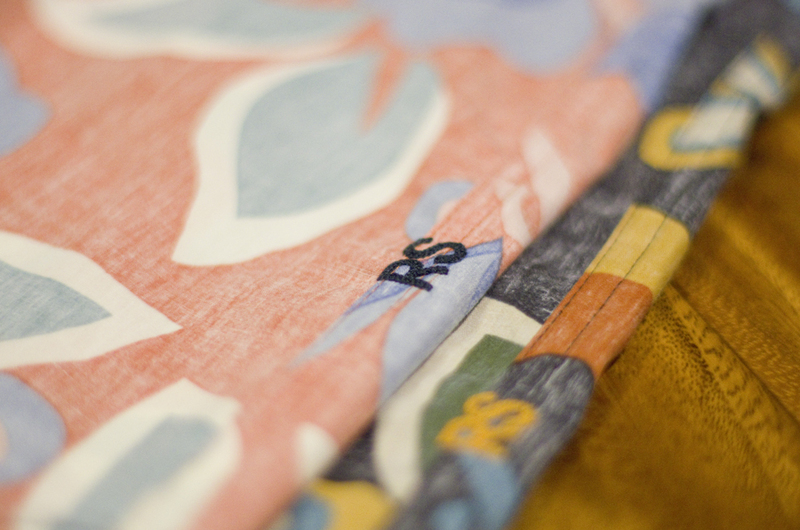 The new release has a nice mix of simple prints, bright colors, and texture. 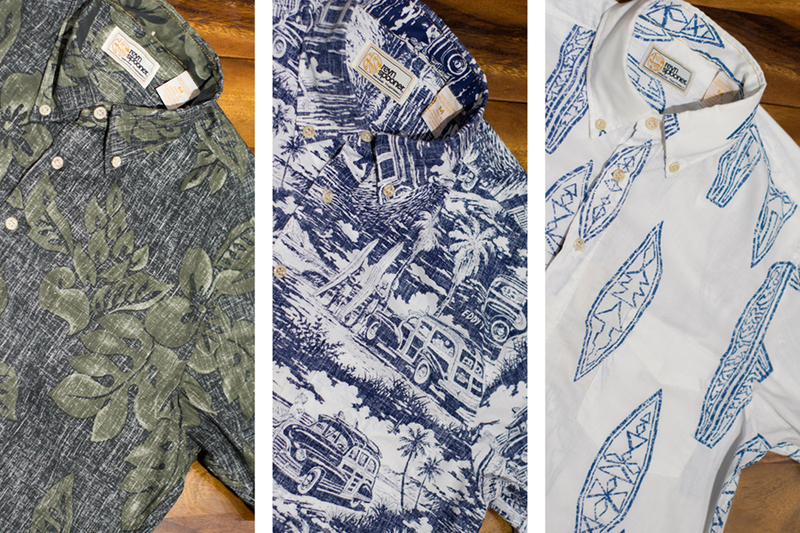 We also received a small restock of the popular Street to Surf and Boards in white. 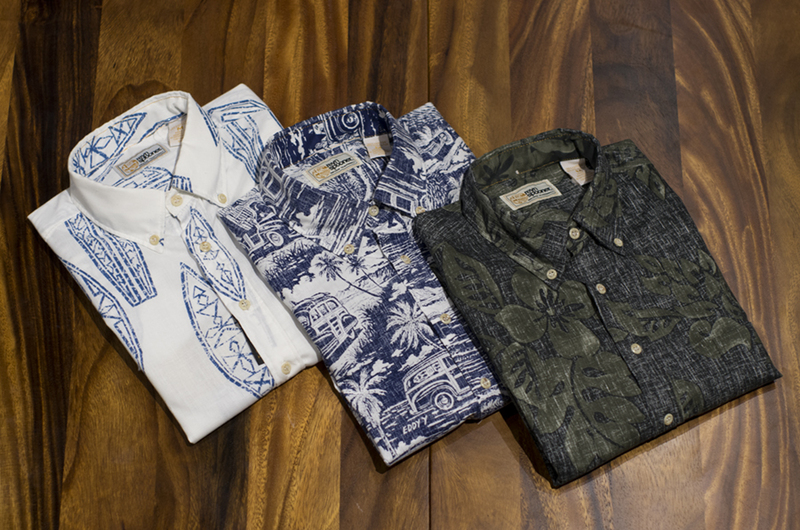 FYI, the Leather Soul and Reyn Spooner partnership is an exclusive project because our Spooner Kloth collections are done on the modern cut and made in Hawaii. 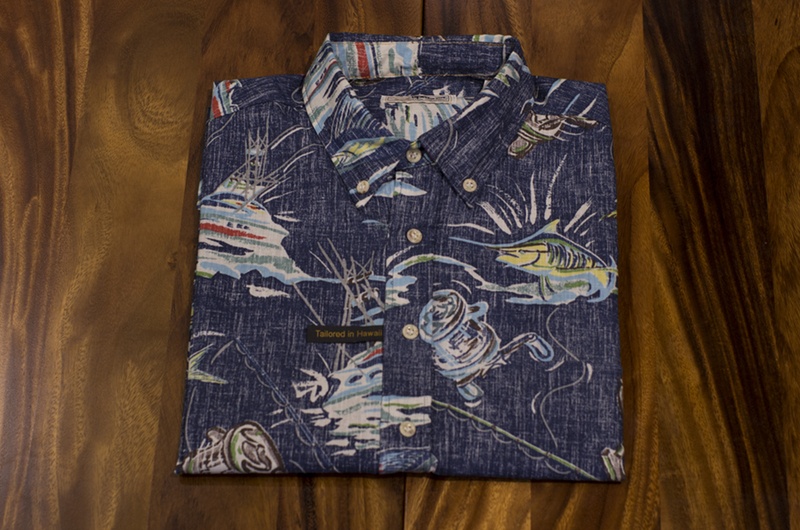 Reyn Spooner is back with three new prints, and as always, each print is available in limited quantities. 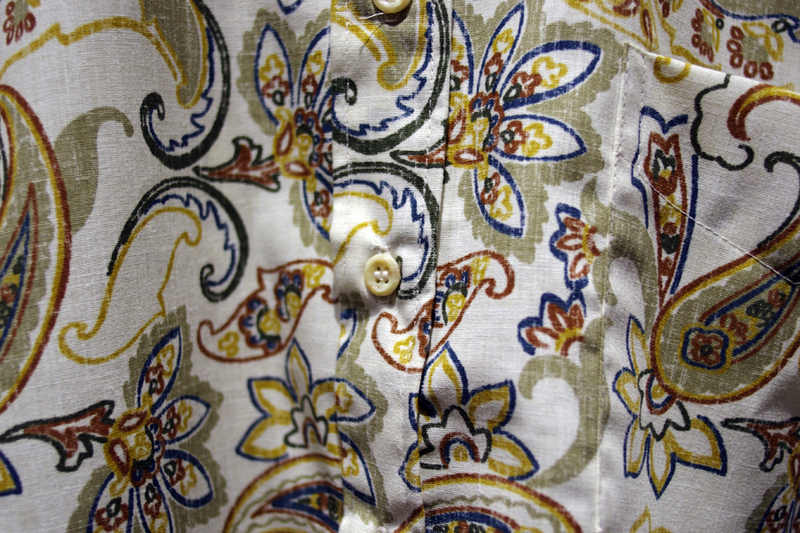 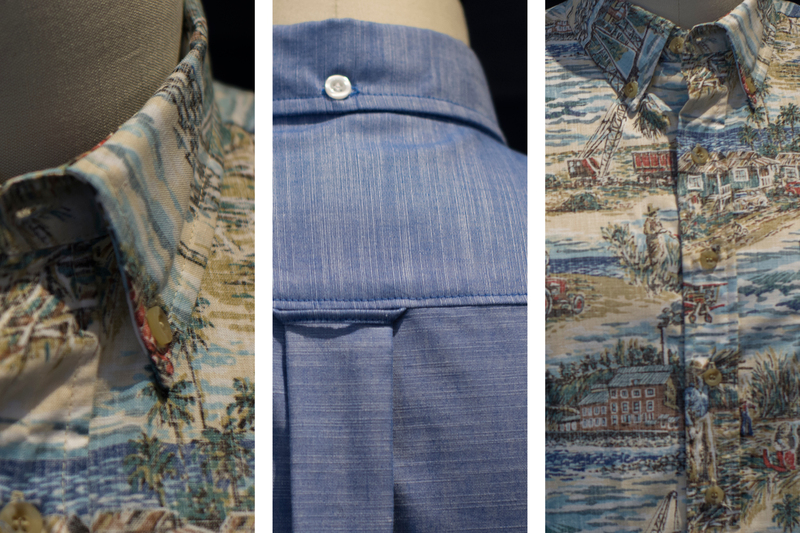 The shirts are made of the classic Spooner Kloth on a modern cut. 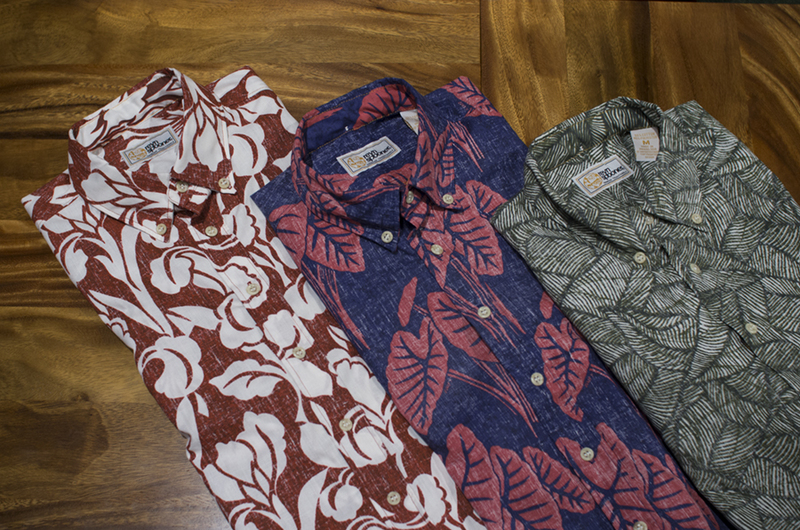 (Left to Right) Niu Iki, Street to Surf, and Boards. 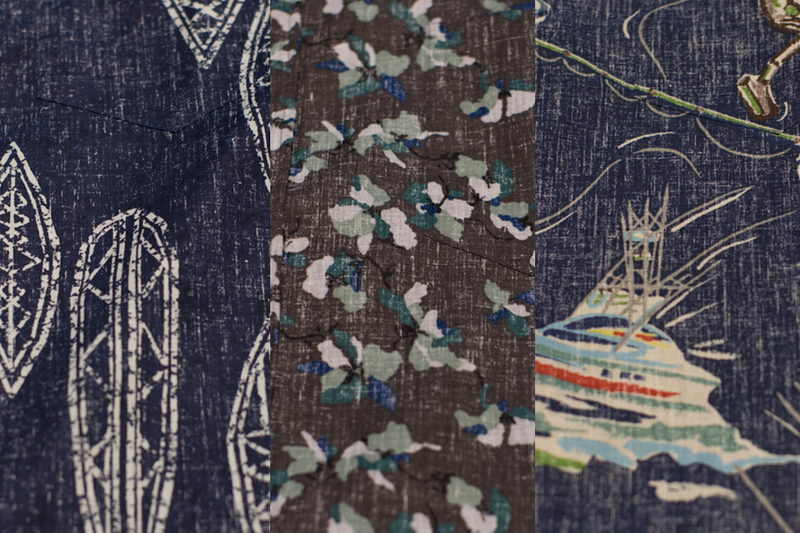 We just received three new prints: Spooner Boards, Pena Wai, and Rigger’s Pursuit. 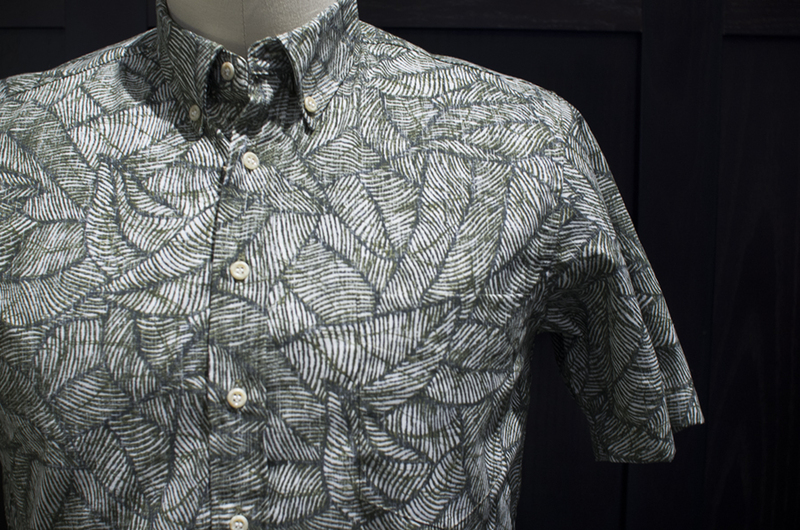 The different prints offer a unique feel and aesthetic that can be worn at work, during the weekend, and whenever you want to be comfortable. 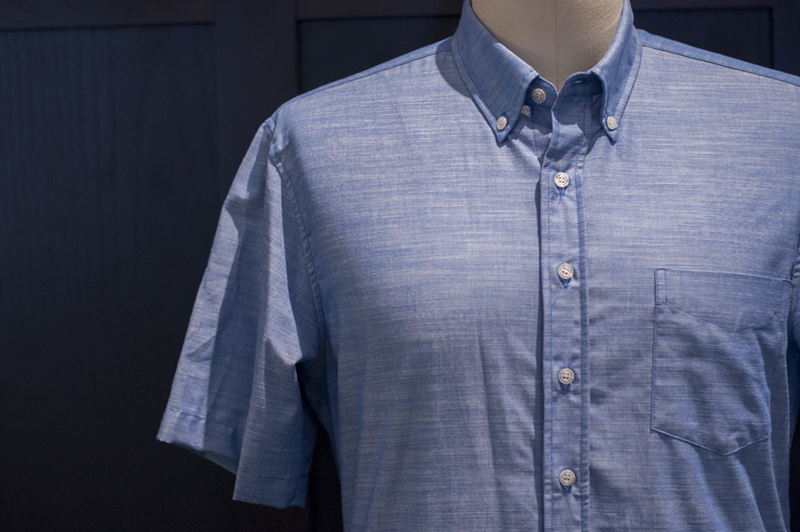 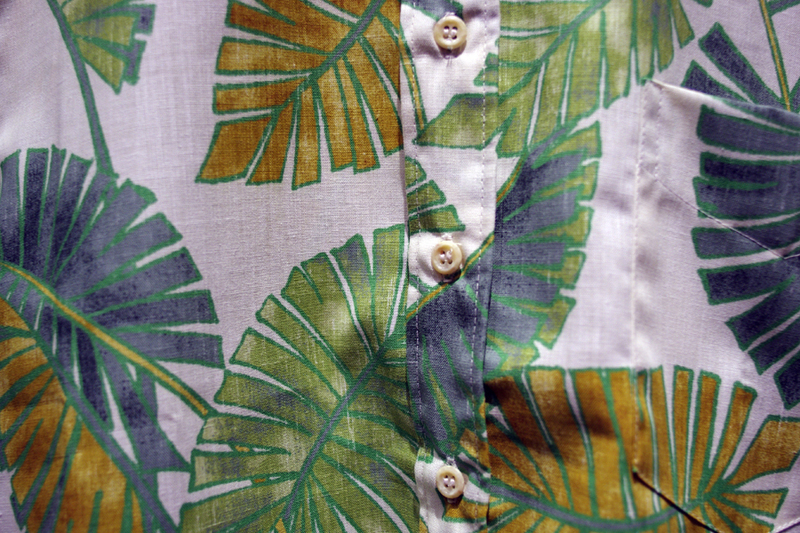 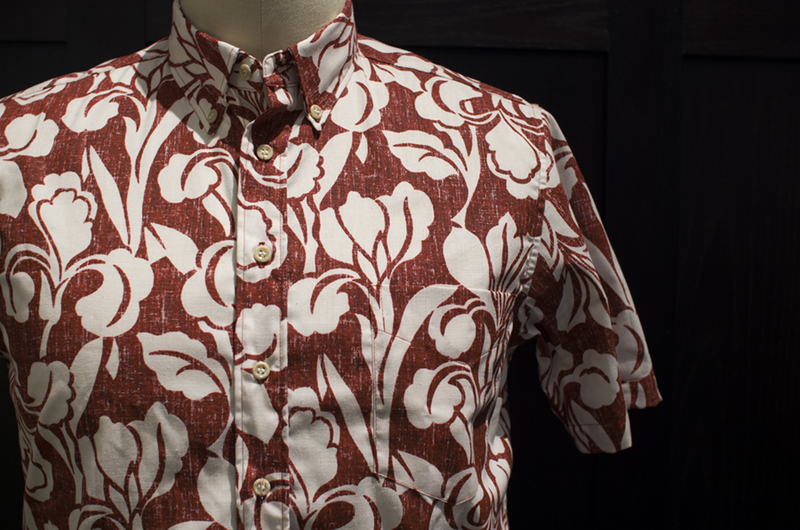 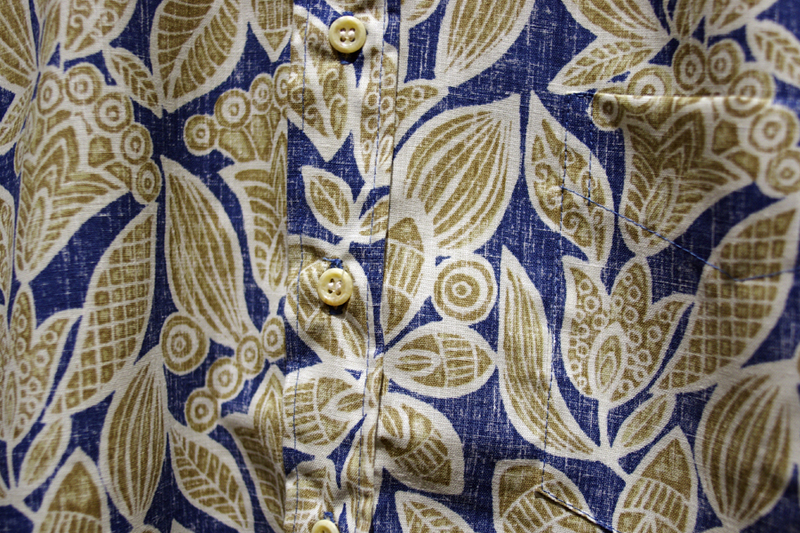 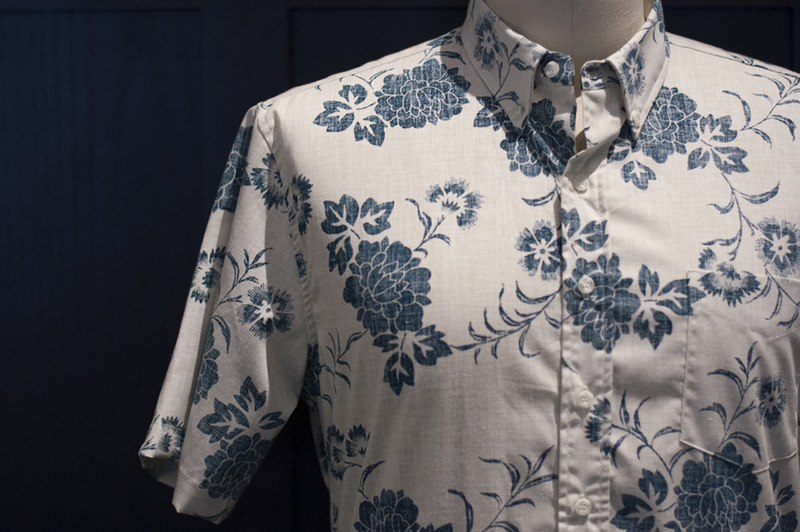 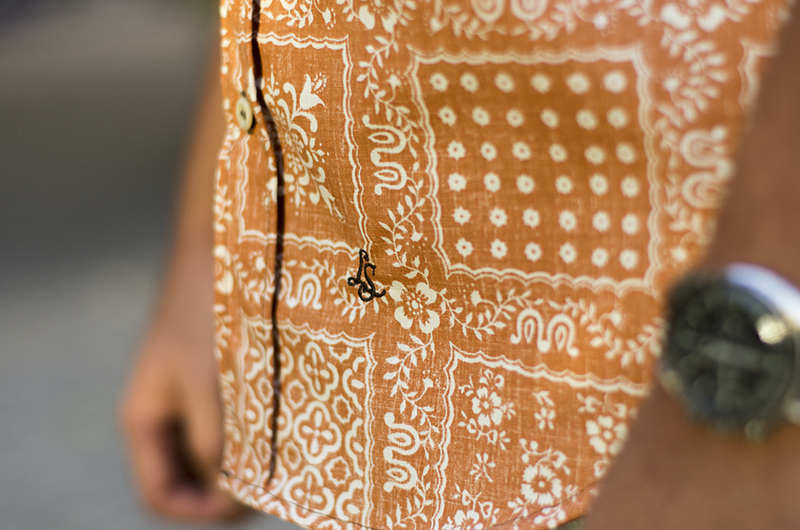 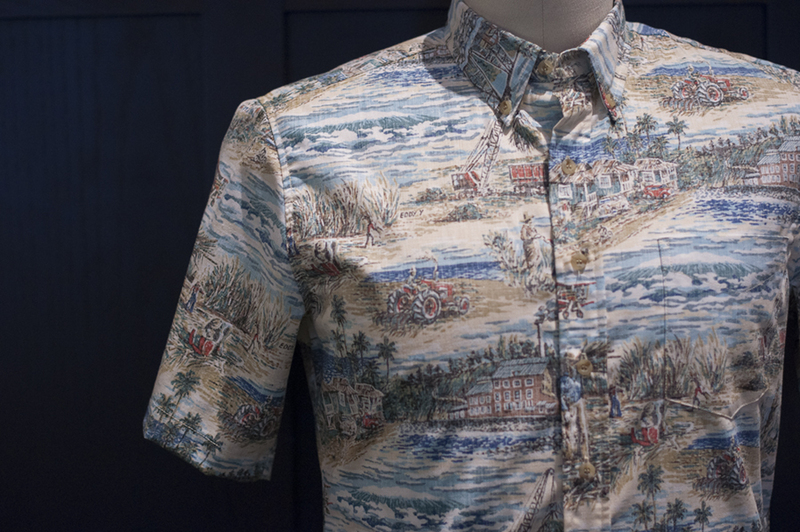 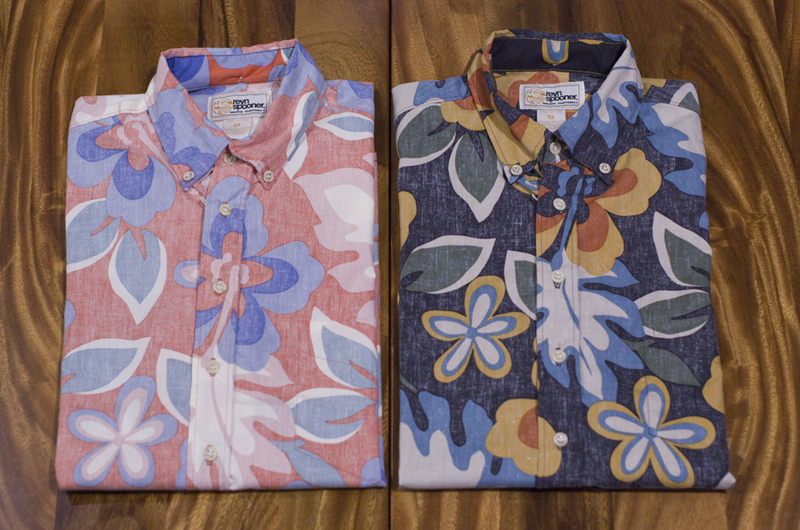 In commemoration of our 10th Anniversary, we present the Reyn Spooner LS10 aloha shirt. 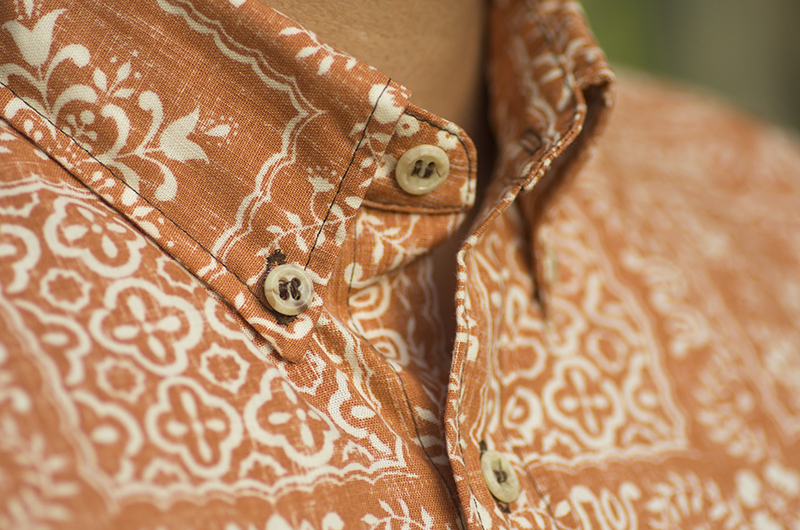 Utilizing Reyn Spooner’s original Lahaina Spooner Kloth, our friends at Reyn’s made our LS10 shirt in the modern slim cut, with contrast brown stitching, and special vintage inspired buttons. 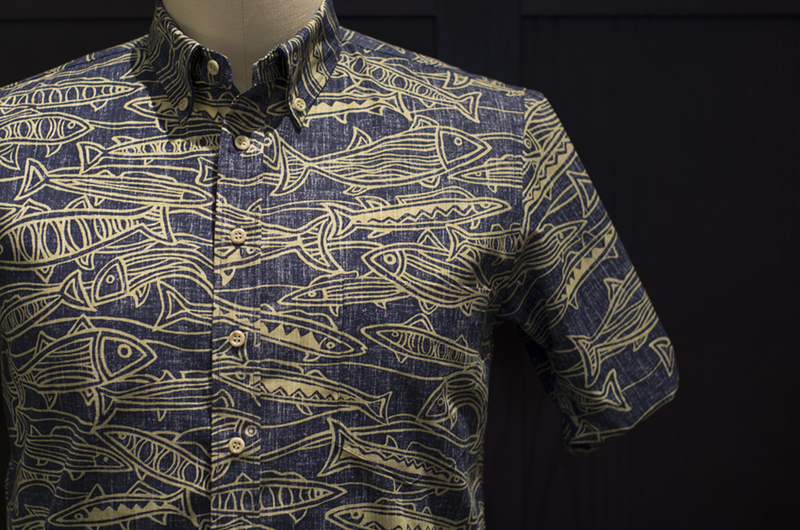 Like all of our RS collaborations, they are made right here in Hawaii. 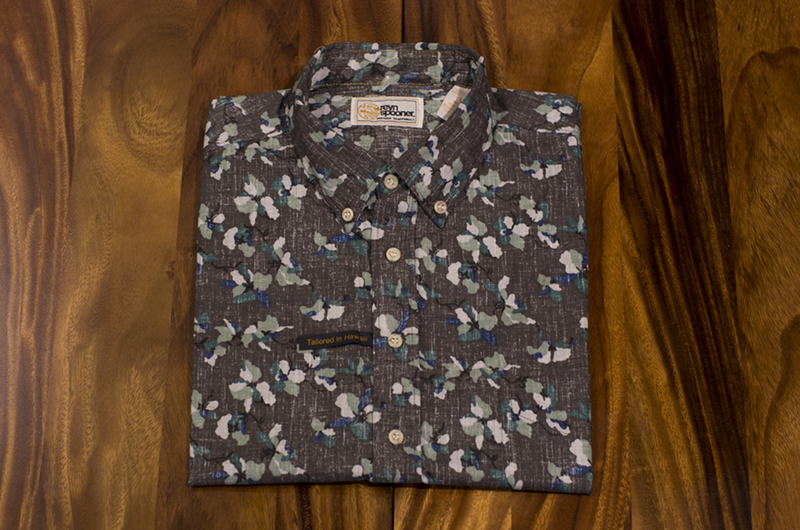 Limited to 100 shirts, available in sizes S-XXL. 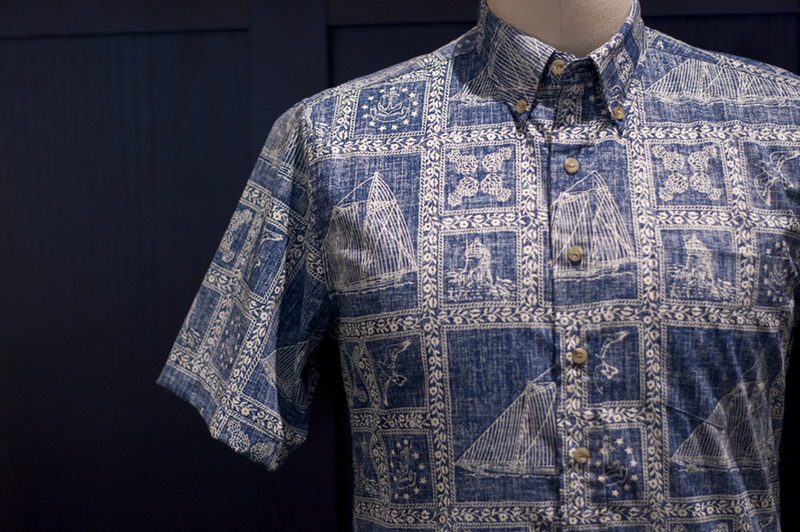 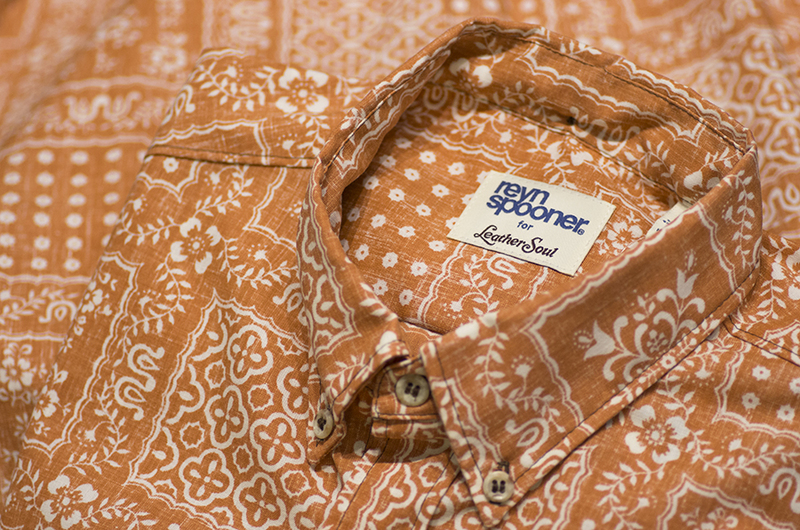 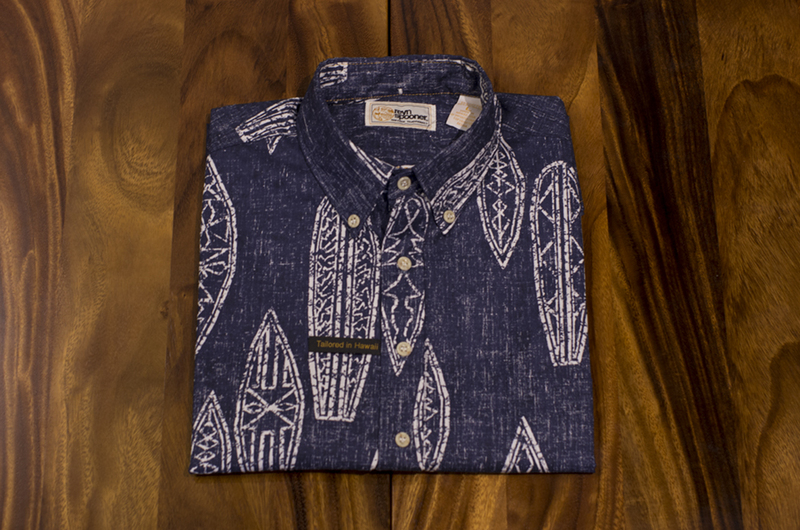 Our latest Leather Soul x Reyn Spooner aloha shirt release is comprised of 5 patterns. 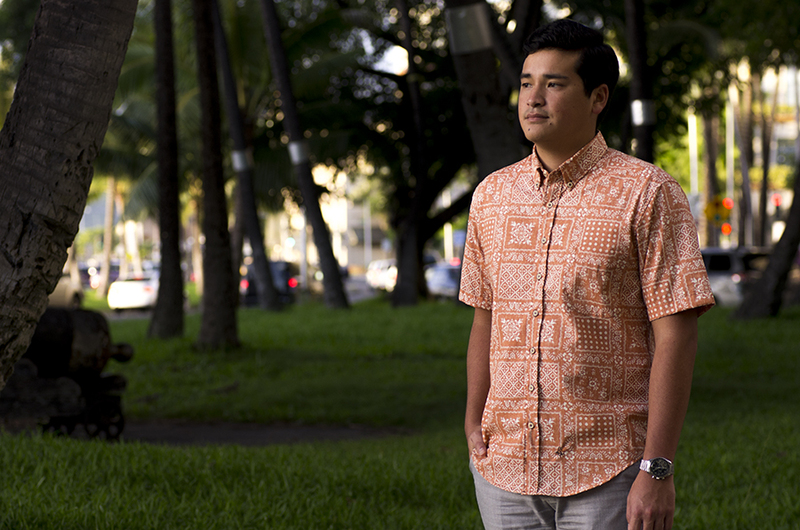 Each aloha shirt is made on their modern slim fit and made with aloha here in Hawaii. 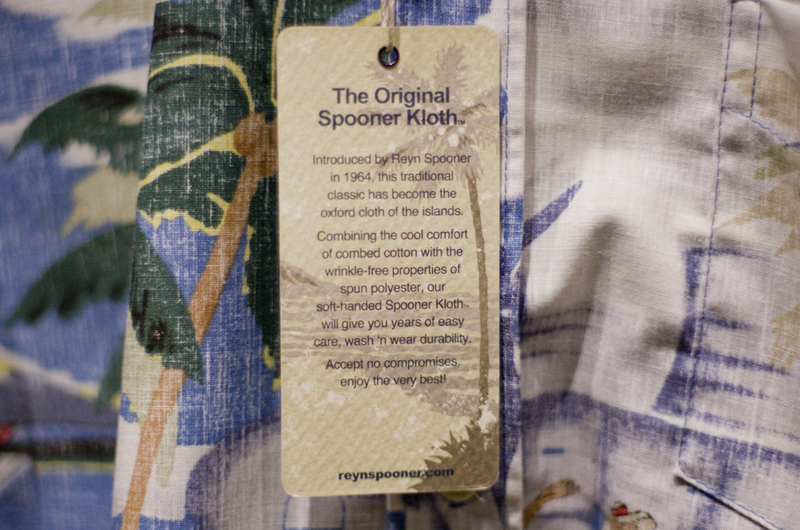 A slimmer silhouette featuring a tighter waist, higher arm holes, and a rounded bottom are some of the details that differentiate these from Reyn Spooner’s standard line. 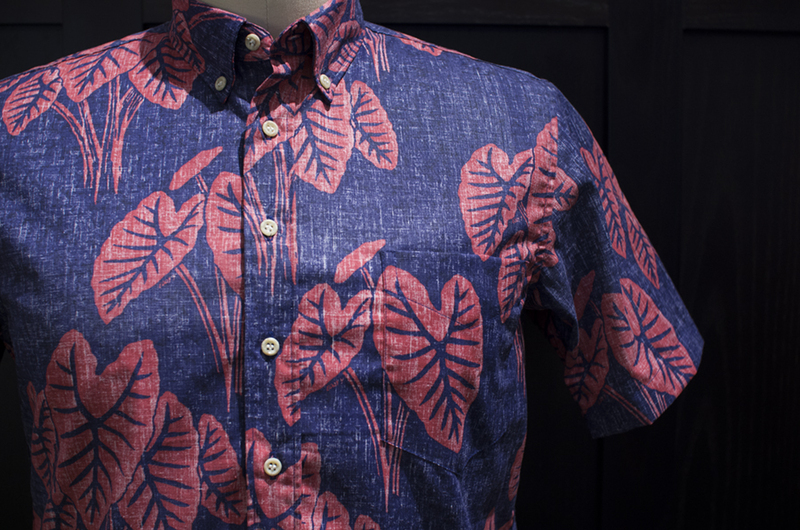 Also, these shirts are made in Hawaii, which is something we are most proud of.